Rob is a Consultant Radiologist with specialist interests in gastrointestinal, genitourinary and oncological imaging and intervention. 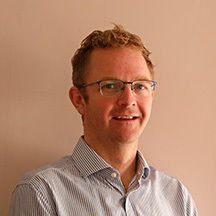 Rob completed his Radiology training at the Royal Free Hospital, London, following which he undertook a fellowship in body imaging and furthered his experience in oncological intervention in Melbourne, Australia. He is currently practising as a Consultant Radiologist at the Royal United Hospital, Bath.